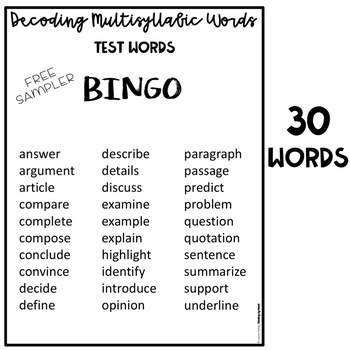 Give your struggling readers practice recognizing some of the multisyllabic words they may encounter in testing situations. 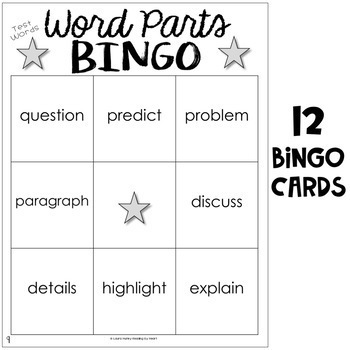 This fun BINGO ACTIVITY reinforces WORD RECOGNITION of 30 words struggling readers may encounter as they test. •Complete Decoding Multisyllabic Words INTERVENTION BINDER - TEST PREP edition for STRUGGLING DECODERS. 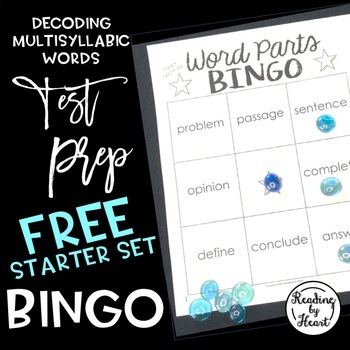 •BINGO WORD RECOGNITION 200 TEST PREP WORDS EDITION.